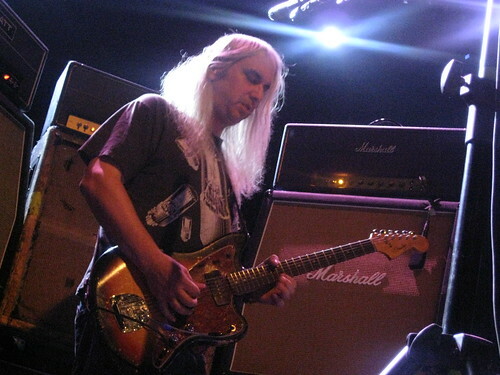 The Dinosaur Jr. set opening for Sonic Youth last week at Terminal 5 was a condensed version of the band’s current show. After opening with a few classic nuggets, the band then performed several songs from the excellent new album Farm, before closing with “Freak Scene” and another early-era shredder, in this case “Gargoyle”. We expect the set to be fleshed out for the two shows that Dinosaur Jr. will play in NYC next month — January 16 at Bowery Ballroom and January 17 at Music Hall of Williamsburg (we’ll be there). Acidjack recorded this set from the same location at the Sonic Youth recording and the sound is excellent. Enjoy! Outstanding recording; sounds better than I remembered! Thank you! have been looking forward to this ever since i left the venue. Thanks a lot for this. Now my concert experience that night is complete. Just like at the show, it is almost impossible to make out the lyrics. I wouldn’t have it any other way. they also played “imagination blind”…. actually, forget it…my comp is just acting up.